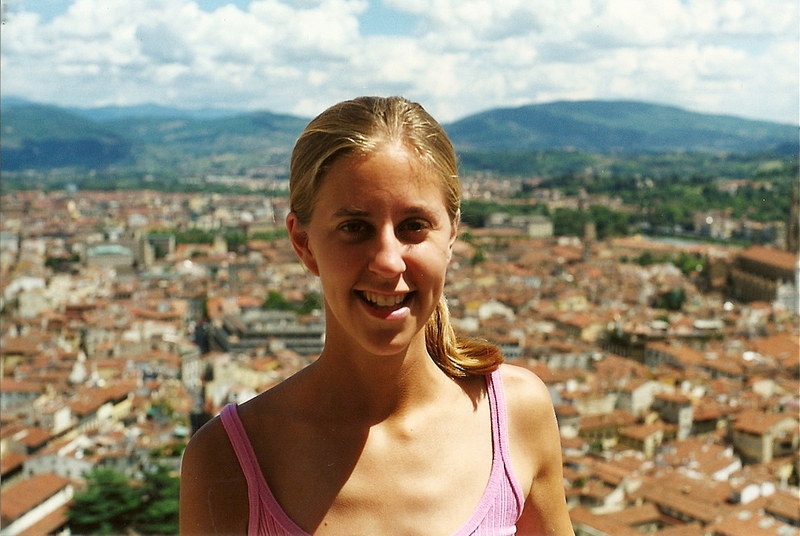 I studied abroad in Italy in the summer of 2000 to get back at my boyfriend. Yep. Besides shaving my head and getting a tattoo one time after a bad breakup, this was definitely the most un-me thing I ever did. Thank goodness. I changed during my three months there. I grew up. I got stronger physically and emotionally. My man actually didn’t recognize me when I came home. I learned to scream “Va via” (“go away”) at groping men. I learned that I was not a city girl after all. 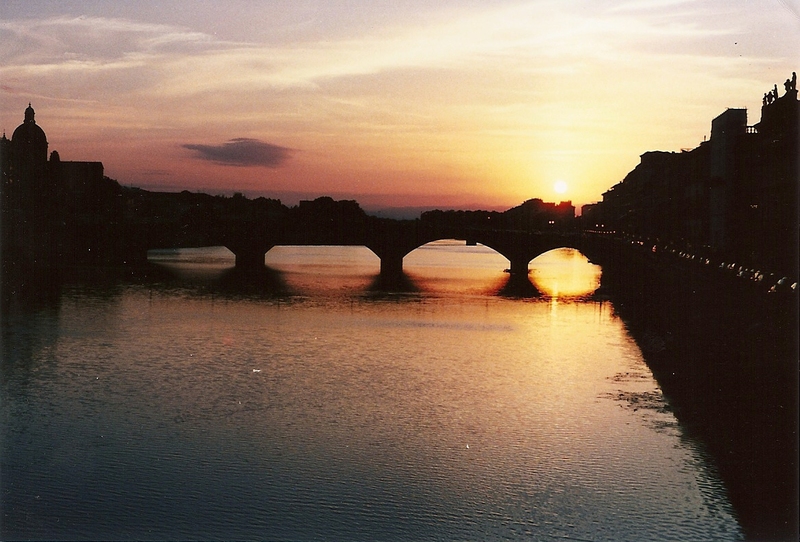 As every traveler learns on her first trip abroad, I learned what I loved about home. My boyfriend in summer 2000 was future Mr. Okayest. What horrible thing do you think he did to make me leave the country out of spite? Forget my birthday? Ask to go on a “break”? Cheat on me? No, dear readers, it was nothing so lurid. He simply took an internship in another state. I thought he and I would come home from college that summer to be together, and, instead, he (smartly) got an excellent internship. So, out of spite, I thought, “Well, if he’s not coming home, then neither am I. He’s going to leave the state? I’m going to leave the country!” And that is how a ridiculous homebody like me leaves the country. During the summer of 2000 (“estate duemila”), Italia was a place without air conditioning, computers, and cell phones. I lived in Florence (Firenze), which was a bustling city of nearly half a million, with Gucci, Prada, and Tiffany stores in between each ancient monument and art museum. This was a bustling metropolis, yet somehow it was stuck in time, too, in the most deliciously relaxed way. It was the birthplace of the Renaissance. Homeowners couldn’t even change the paint color on their shutters without permission from the town government. It was one of the fashion centers of the world, but I was just there in my Birkenstocks. I didn’t read about anything before I left. I was a smart/dumb 20-year-old. What I knew about Florence was from my two art history classes. What I knew about Italy was from “The Godfather”. What little Italian language I knew was probably food words or things my future father-in-law had said. There was no Wikipedia to peruse before leaving. I got a travel guidebook at the used bookstore and that was that. There was no cell phone to take with me. I bought phone cards at the corner markets and called my boyfriend from the nearest payphone. He said it sounded like I was at a racetrack, which was somewhat accurate, since the traffic was crazy enough to knock one of my friend’s shoes off her feet. There was not much internet either. My parents did not have email yet, but of course my boyfriend did. It didn’t matter much because there were only a couple of internet cafes I could use – at exorbitant rates. What I am trying to tell you young whipper-snappers is: back then, when you left, you were gone. If I remember correctly, I spent a whole summer in Italy for less than three grand. That included airfare. My parents said they supported my decision (although they were completely shocked) if I would handle all the finances myself. I visited the student aid office about a hundred times, and worked out all the details and kinks. I always had a job during college. I had some savings. I borrowed some from a generous aunt and uncle, and I added the rest of the cost to my already-generous student loans. In the late 90s, student loan rates were at a Clinton-inspired record low, so I figured I wouldn’t mind paying for Italy when I was 34 years old. I was right. 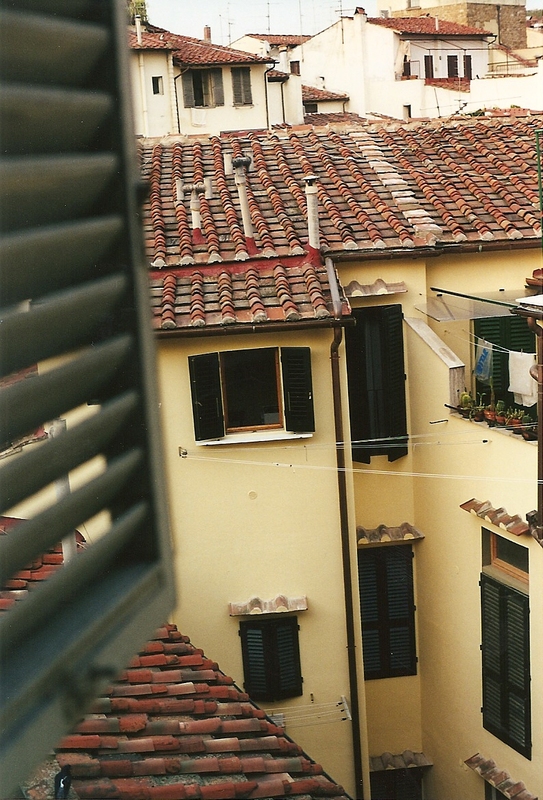 Arriving in Italy was a complete shock for this Southern country girl. I wasn’t sure if I was more shocked by city life or by Italian life. Both were a major change for a girl who grew up on a mountain in Virginia and went to college in a rural town whose only claim to fame involved turkeys. Suddenly, I was breathing exhaust fumes and not understanding a word anyone said. Our study abroad group was broken up into groups of twos and threes for homestays. I lived with a very formal family who had Sicilian accents that made their Italian even more impossible to understand. We were expected to dress for dinner, not ever be barefoot, and eat whatever was prepared, even if it was fried octopus. As a lactose-intolerant Mormon who doesn’t like chocolate, I will also add that I must have seemed very rude when I declined pretty much every coffee drink ever made. Their fancy apartment was on the second floor, but, in Europe, that means about 300 steps. They did not have air conditioning, but neither did anyone else. Even the most famous of paintings were sweating in the Uffizi without air conditioning. We were there during the summer, in a major heat wave. The weather felt a lot like it did at home: hot and sticky. At least something felt like home! Next, I learned that pasta is just a first course. And it’s not a big portion at all- maybe just a few bites of homemade noodles. Do you think those Italians stay slim with an Olive-Garden-situation? I don’t think so. Same with bread. I never saw a single breadbasket in all of Italy. If we got any bread at all, it would be a tiny hard-as-a-rock little thing sitting beside your plate. Oh, and then there’s the fruit. If you reach for a peach at the corner fruit stand, the grocer might actually smack your hand away. Only the seller selects and hands you your fruit. “Why would I want to sell dirty fruit?” Also, they only sell things in season, so you don’t need to worry about picking over the selection to be sure you get something ripe. So, not only was I thirsty, but I was starving. I was starving in Italy! I was in one of the world’s most beloved culinary meccas, and I was starving all the time. I was used to big, American portions. I was used to a lot of fat and a lot of calories. I was a meat and potatoes girl who was completely out of her element in the world of fresh food. Besides, I was walking over eight miles a day to and from class and meals (and clubs), and burning more calories than I ever had. I lost quite a bit of weight that wasn’t mine to lose. 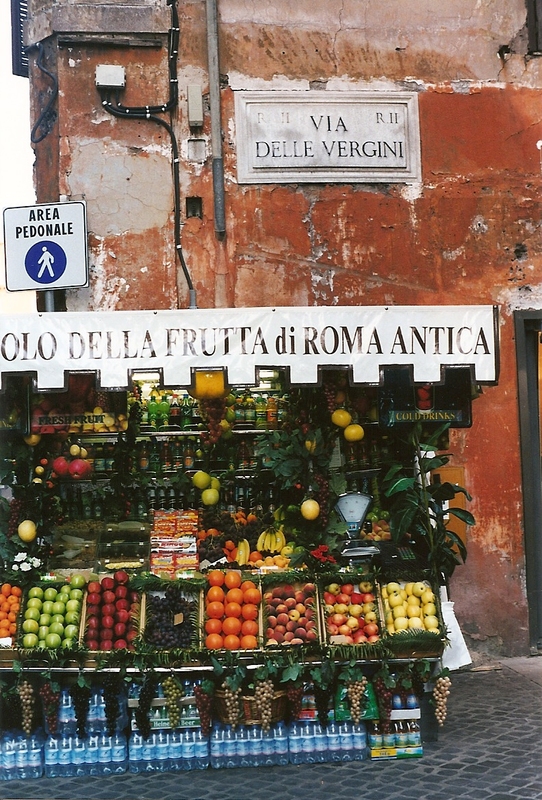 I was constantly in awe of the beauty of the colors, the food, the people, and the art. I felt alive with all that beauty. But I surprised myself by feeling a little deadened inside from being away from all that was familiar, and being away from the people who loved me. I realized that I was indeed an introvert. I was an introverted country girl in a big city in another country where no one knew me, and everything was so beautiful it hurt. My heart hurt to see all these beautiful things without the mother who used to tell me that “You’re my piece of blue Italian sky” because she never got to travel… and my heart hurt to see all those beautiful things without the man I was to marry. 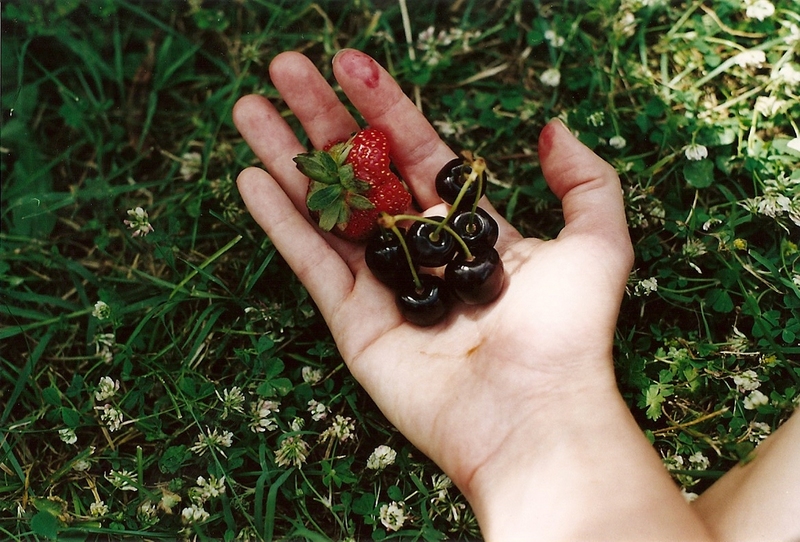 I wanted to go home, and come back with the people I loved. Stay tuned for Part 2, in which I will scare you with: I Studied Abroad in Italy to Get Back at my Boyfriend, Part 2 (Culture Shock: Men). 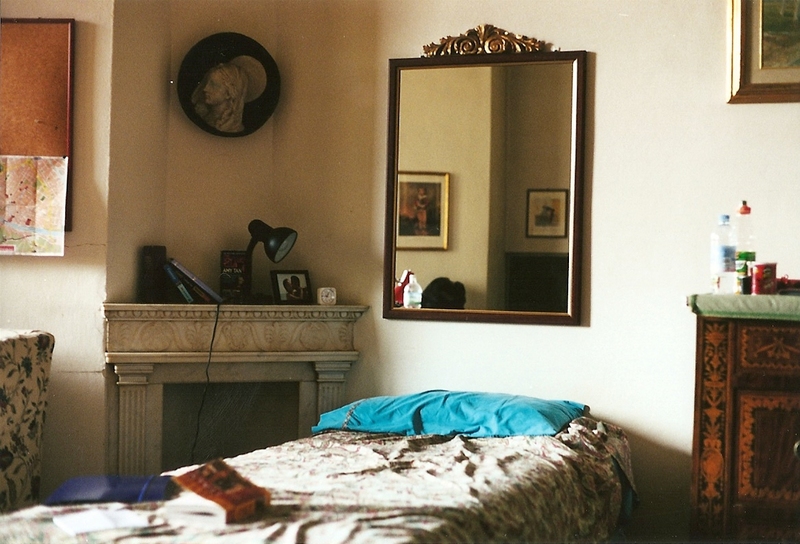 I lived in Florence for a year when I was 18 to study art. We still go back almost every year. Last year we took my two granddaughters ages 9 and 6. 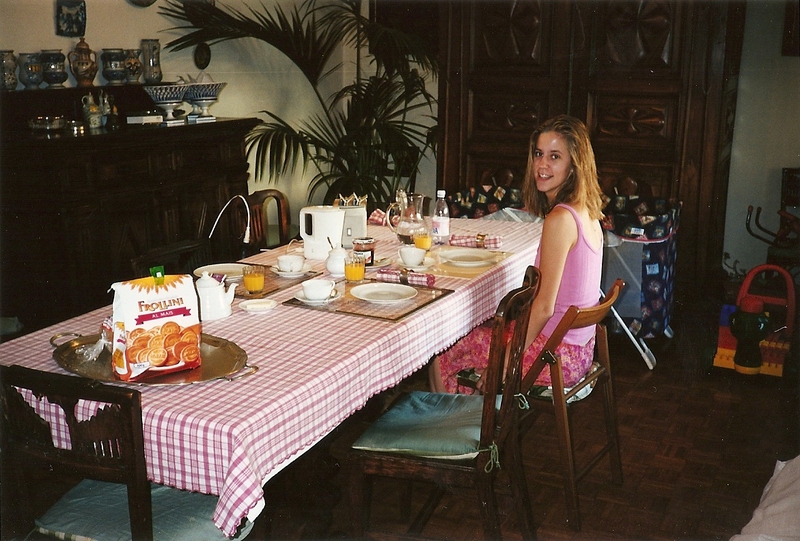 We stayed in my school, which is now a B&B. It was amazing. I left a preppy girls’ school girl in 1967 in Weejuns (loafers to those of you under 60) and a navy pea jacket, and came home in custom-made mini skirts, Twiggy (a model to those of you under 60) eyelashes, and Bruno Magli leather boots. The change in a person from living in another country lasts forever. It gives those of us fortunate enough to have this opportunity, a perspective on the world that is valuable. I think it teaches us a lot about ourselves. That is so wonderful that you took your granddaughters back with you! I certainly hope to be lucky enough do that someday. I would totally read a blog post about YOUR adventures, by the way! I loved, loved, loved Italy. As you know, I spent two years there in high school, and used to take the train into Firenze a lot. Also, Americans don’t like Italian food. Those who think that they do, usually haven’t ever had it. A lot of the places in Firenze and other tourist hotbeds have two menus. One for the locals and another for the Americans. I you go to Italy and get food like you do at the Olive Garder, then you got the tourist menu. Oh I miss good gnochhi! I agree with all of that! Especially the Olive Garden part. Oh, and the gnocchi part!! Great story so far, can’t wait for part 2. Been to Cinque Terre and just loved it, also Florence. Study abroad for so many Americans is a great opportunity to learn another culture and get immersed in it. I can imagine you must have missed all the carbs back home though :). Italian cuisine is wonderful, so fresh, earthy, and bountiful. It’s cool that you left the country to spite your bf, but that you came through a lot stronger, mature and ready to take on life’s challenges. I have a similar story, but won’t bore you with the details :)). Haha, you can “bore” me anytime!! Thanks for your sweet comment! Enjoyed reading this story, thanks for sharing. Definitely can relate to a lot of those early life head-scratching things we all seem to do, ha! Thank you so much. Mr. or Ms. Interesting, I want you to know that your blog is the ONLY one that I officially follow. I love your stuff. I am fascinated by abandoned stuff, and I have no idea why! Anyway, keep it up!! Oh, I look forward to reading more about this! 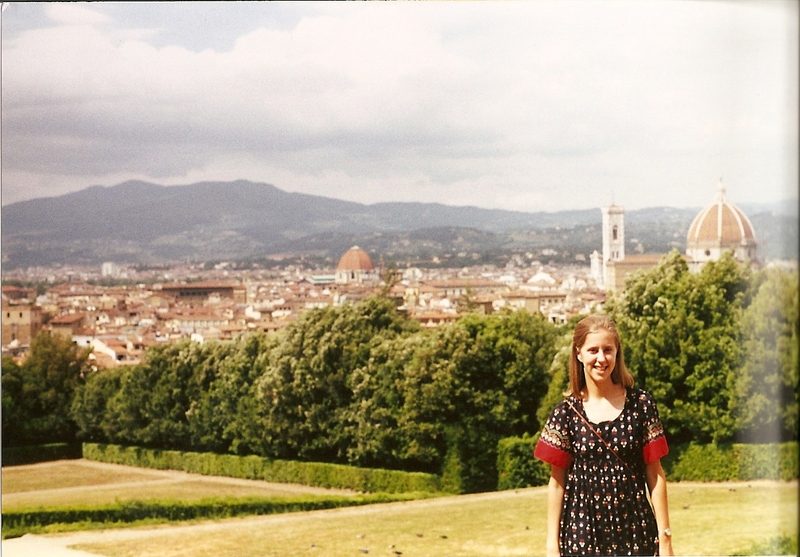 I visited Italy in 1996, so you can imagine how old-world it was then too! I remember drinking a lot of Coke and a lot of fizzy water. It was SO hot and SO beautiful. I visited Firenze, as well, and was surprised how many Italians rode around on little motorbikes. 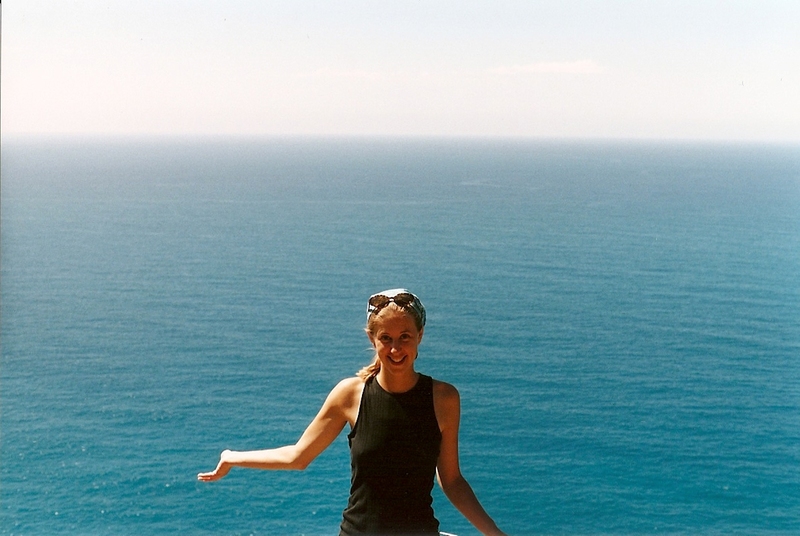 I loved reading your experience here, especially, because I recently wrote a novel about a girl who runs away to Italy, and I had to rely on research and my poor memory to get it all “right”. Reading your experiences, yep, I remembered correctly and did enough research! Definitely right. I love that country. I’d love to go back again someday. Oh, I am so glad another fellow-Italy-traveler approves! And what is the name of your book?? I need to buy that!